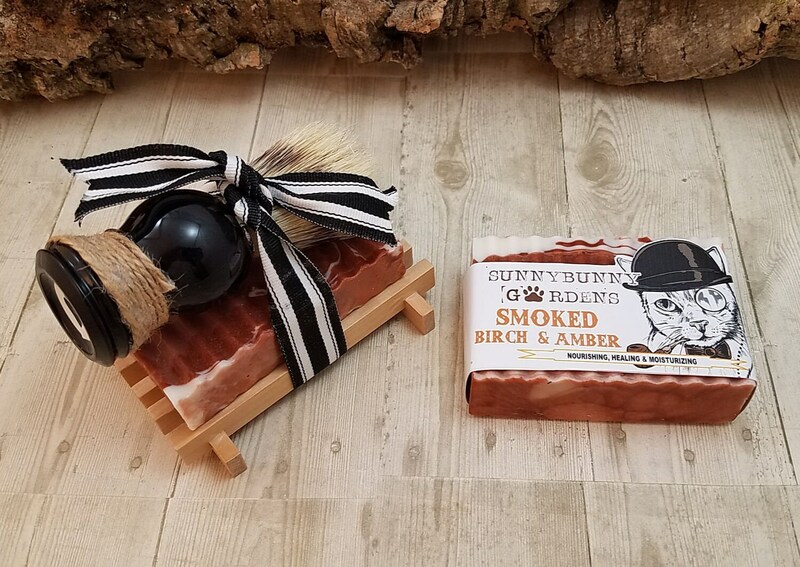 If you are looking for a sophisticated masculine scent when you shower and shave, then you have found the perfect soap bar with our Smoked Birch & Amber mens soap. 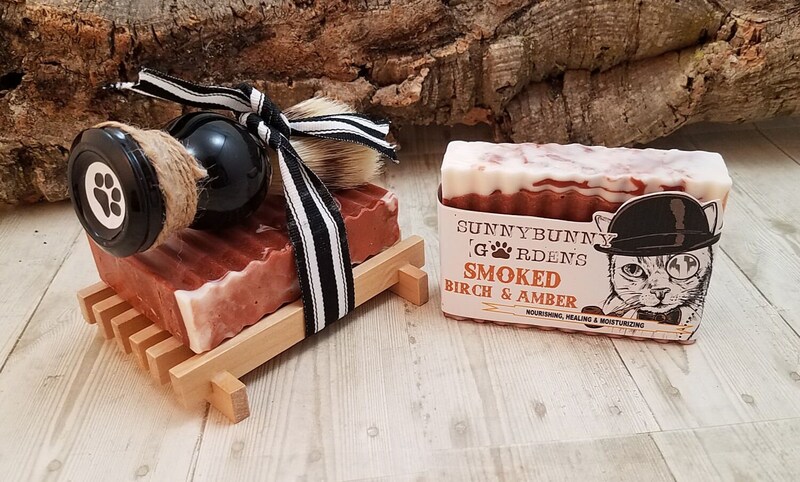 The smoked birch scent ads a leathery note while the amber brings hints of vanilla, patchouli and musk. 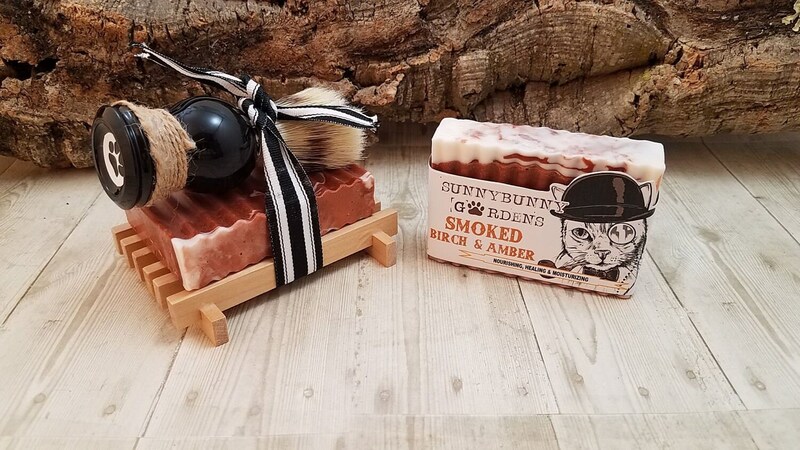 This scent will make you want to put on your smoking jacket and relax with a glass of brandy! 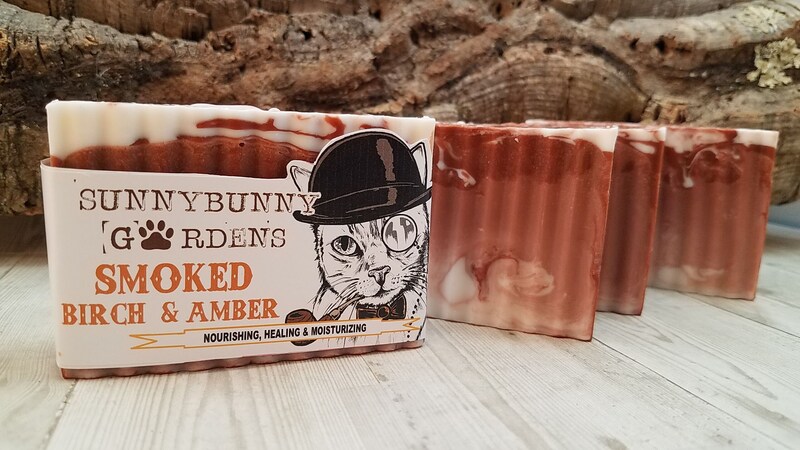 Our Smoke Birch & Amber soap bar is made with olive oil and Shea butter for a rich and creamy lather. 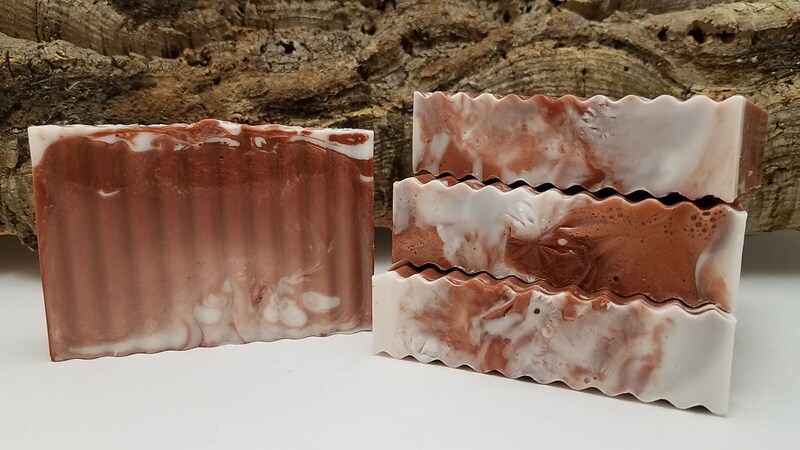 Also included is bentonite clay for a slick gliding surface for your razor. 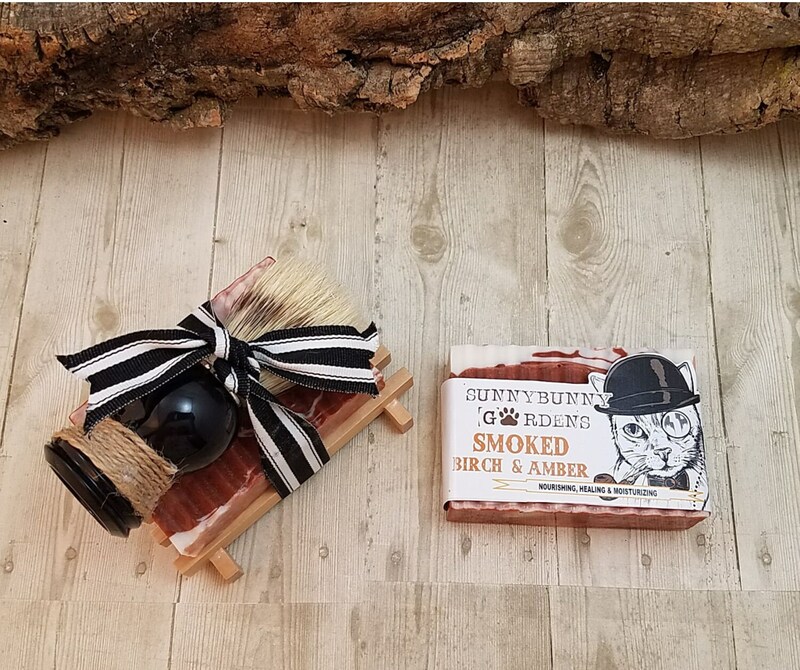 This manly bar is paired with a shave brush and soap dish for the perfect gift! 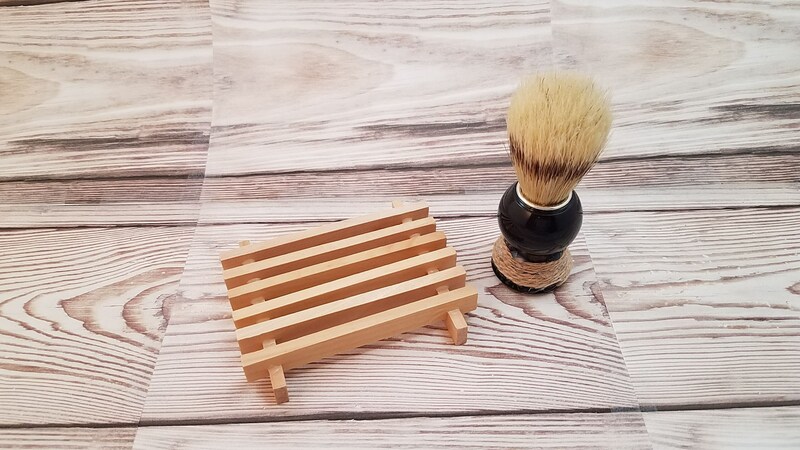 Boar Bristle Shave Brush: Our boar bristle shave brush is the perfect accessory for the man who loves a wet shave! 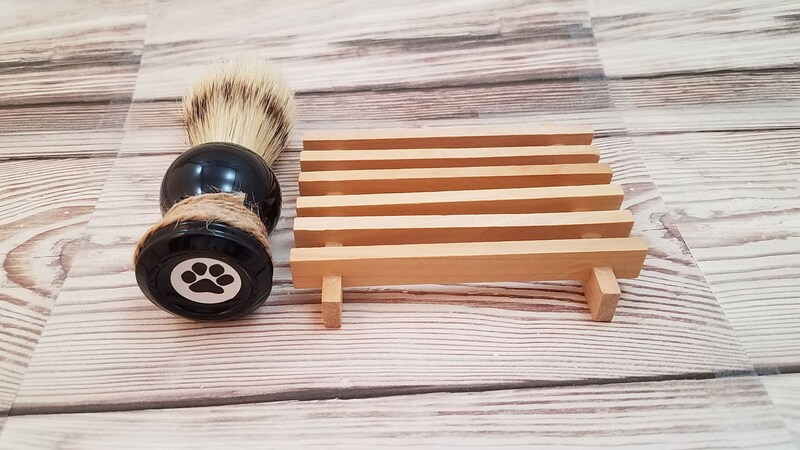 Our high quality shave brush has a black acrylic base, an all natural jute rope accent and of course a Sunny Bunny paw print on the bottom. 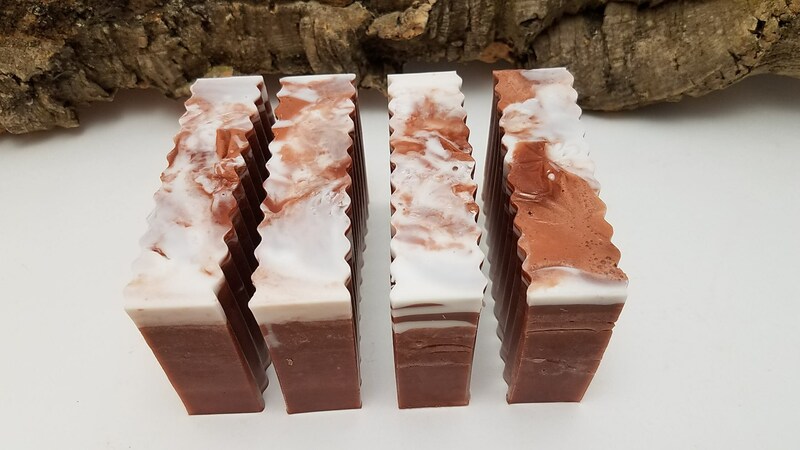 Our Organic Ingredients: Olive, Coconut, Palm & Safflower Seed Oil, Shea Butter, Plant Based Glycerin, Purified Water, Sodium Hydroxide (lye), Sorbitol (sugar alcohol used to prevent moisture loss), Sorbitan Oleate (plant based emulsifying agent, helps mix oils & water), Oat Protein, Bentonite Clay, Seaweed Extract, Essential & Fragrance Oil, Iron Oxide.